The US on Friday ratcheted up pressure on India, blocking a request from New Delhi that calls for allowing a World Trade Organization (WTO) compliance panel to determine whether India has removed the mandatory domestic content requirements and other restrictive measures imposed on imported solar cells and solar modules, according to people familiar with the development. On 23 January, India filed a first-time request for establishing what is called a WTO compliance panel to determine whether its measures to do away with the illegal domestic content requirements are in line with the rulings and recommendations issued by the trade body. 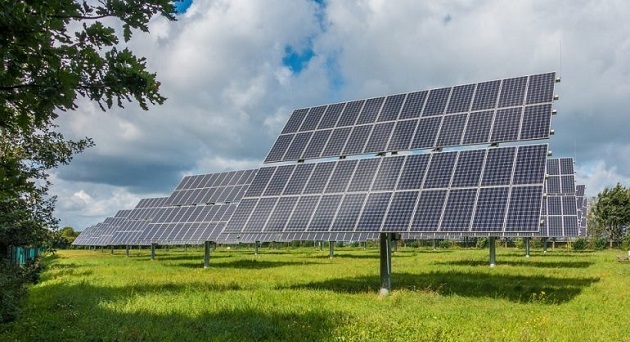 India’s request for the compliance panel came after the US announced trade retaliatory measures against New Delhi in the solar dispute on 20 December 2017 without ascertaining whether India has removed all the restrictive measures on the imported solar cells and solar modules. At a dispute settlement body meeting on Friday, India said it “considers that in the event of any disagreement between the parties with respect to the existence or consistency with a covered agreement of measures taken to comply with the recommendations and rulings (of the WTO), the logical course of action is to first have recourse to Article 21.5 of the DSU,” according to a person who asked not to be identified. It is the second time India made a request to evaluate its compliance measures in trade disputes launched by the US against India. Earlier, New Delhi had sought a compliance panel to determine whether it fully complied with the trade body’s rulings and recommendations in the avian flu trade dispute involving the import of American chicken and chicken products. The US sought to impose trade retaliatory measures worth more than $400 million without checking whether India has complied with the trade body’s ruling. Significantly, the US adopted a similar course in the face of trade retaliatory measures announced by Mexico after due process in a trade dispute involving restrictive measures imposed on tuna products from Mexico, said a trade analyst on condition of anonymity. India said it remains “confident” that the steps taken by India in the solar dispute “will lay to rest any doubts regarding India’s compliance with the recommendations and rulings of the DSB” and thereby negate the need for the US retaliatory measures. Consequently, the US said it reserves the request for imposing trade retaliatory measures in the solar dispute against India, and “cannot agree to the establishment of a compliance panel” as demanded by India. The US, however, will not be able to prevent the setting up of a compliance panel if India presses with a second request at the next dispute settlement body meeting later this month. India holds the cards against the US as New Delhi’s trade dispute against the billions of dollars in subsidies and domestic content requirements provided by eight American states to the renewable energy sector, particularly for solar items, is yet to be decided by the WTO. India said the domestic content requirements and subsidies of Washington, California, Montana, Massachusetts, Connecticut, Michigan, Delaware and Minnesota for renewable energy violated core provisions of global trade rules. The panel to adjudicate India’s claims is yet to be established. Also, the US’s postures on the solar dispute against India have come at a time when US President Donald Trump has imposed safeguard duties on solar cells by resorting to an old American law. South Korea, China and Singapore called upon the US to discuss compensation measures for the damage caused to their trade in solar cells.